This pet recipe contest is closed. Thanks to all you pet lovers who submitted some fantastic pet recipes. Kids shared their favorite recipes for hamsters, dogs, cats, turtles, mice, birds, and even hermit crabs. Congratulations on these creative pet food recipes! 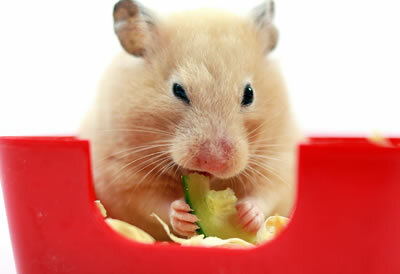 Put your hamsters favorite foods, sliced, diced, and whole in a separate bowl and enjoy.